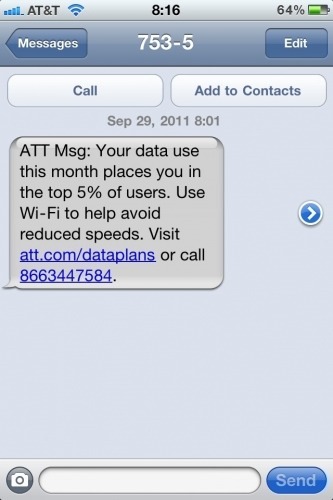 As planned, AT&T has started to throttle users on the unlimited plans who place in the top 5% of data usage for that month. Although originally planned to start October 1, many users are reporting that their data usage is already being throttled. No word on the exact speeds yet. Verizon has too been throttling data for unlimited customers starting a few weeks back. Remember that this only applies to unlimited data customers using a smartphone. Users reported that they received the message on throttling at or around 10GB.